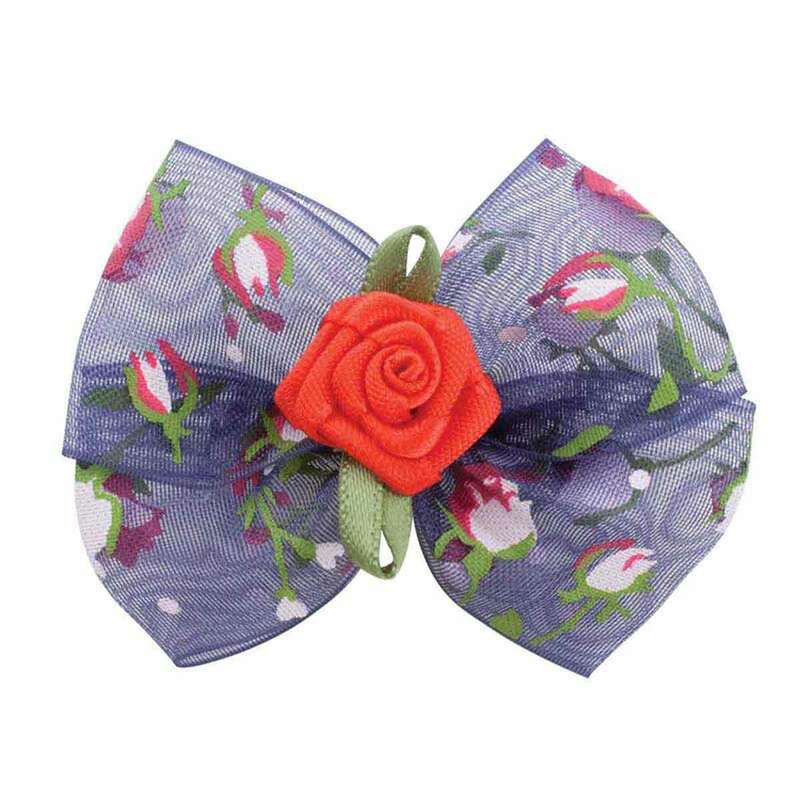 Floral Print Organza Bows with Rose Center. 24 count bag. Size 1 inch.